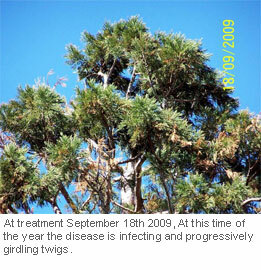 Sequoiadendron Giganteum targeting Diplodia Sphaeropsis Sapinea. 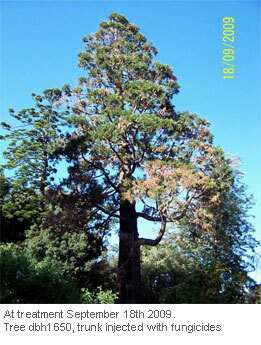 Trials commenced on the 18th of September 2009 at Burnley Campus gardens which are part of The University of Melbourne. 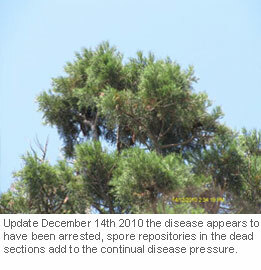 The main emphasis of these trials is on long term systemic control using chemistries that have a broad spectrum of activity. 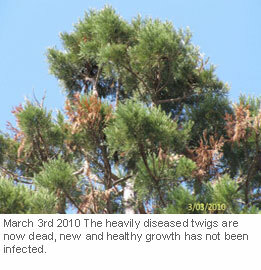 Upper canopy regrowth post treatment. 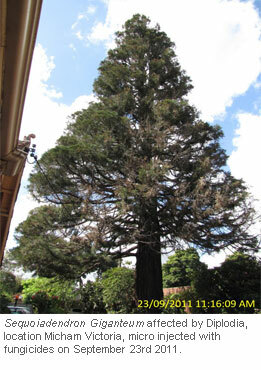 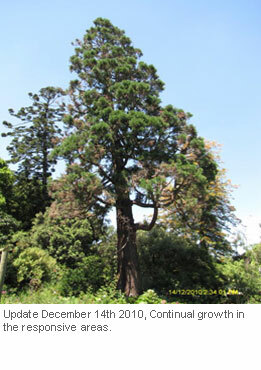 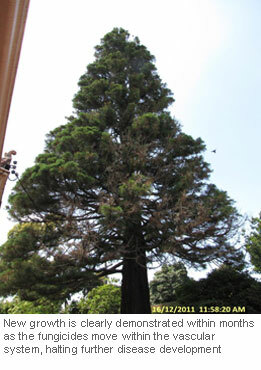 Tree Injection Trial on Giant Sequoia for Diplodia Sphaeropsis Sapinea (PDF, 1.30 Mb).